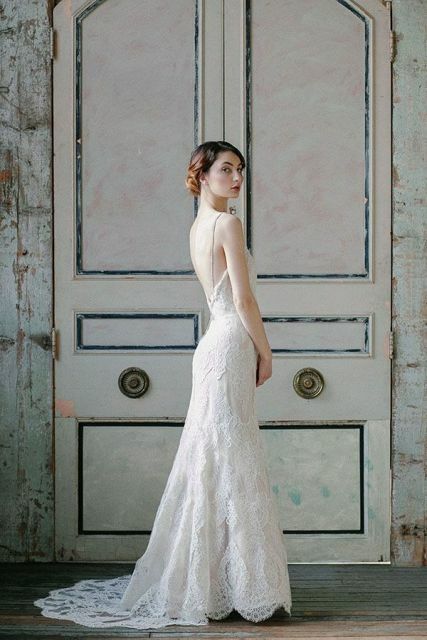 If you like a wedding dress is original and simple at the same time, then we are sure that this dress is for you! 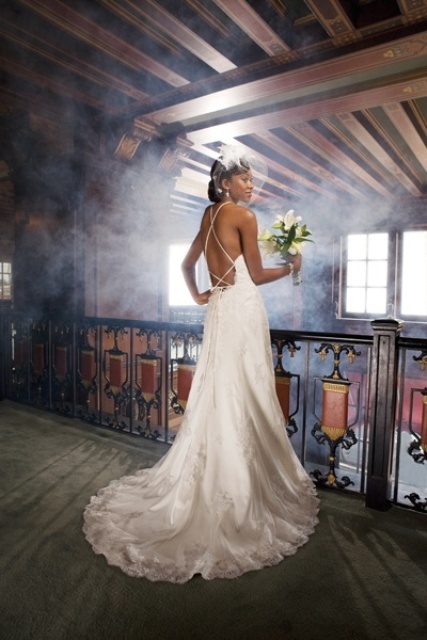 Spaghetti straps add some chic and elegance to your wedding gown and emphasize your beautiful back. You can choose various ideas for spaghetti straps on your back, find your style. 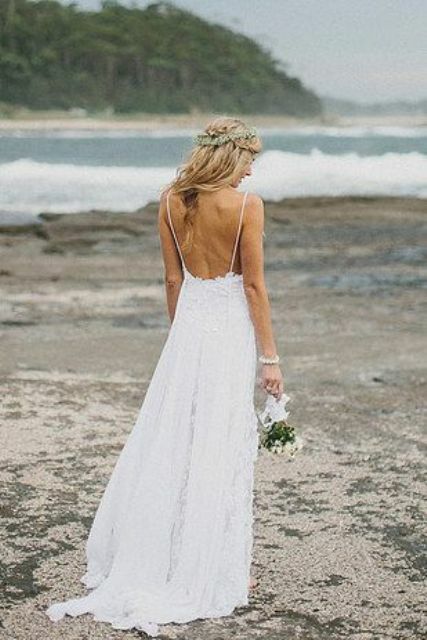 No doubt if you have your wedding on the beach, you just need to pick up this kind of dress. 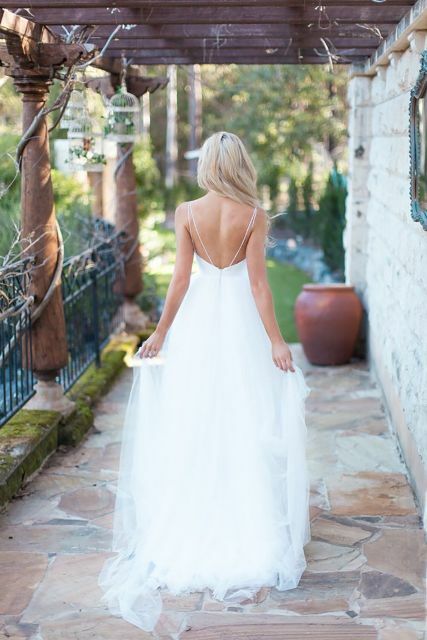 But in general no matter which color of wedding gown you’ll have, what type of fabric or style of your dress, this gown idea will look perfect!